Mini Orb covers a width of 820mm and has a depth of 6mm making it a perfect choice even in smaller rooms where space is tight and bolder profiles might be overwhelming. Lysaght’s Mini Orb takes the traditional time-tested corrugated iron to new levels of elegant sophistication. 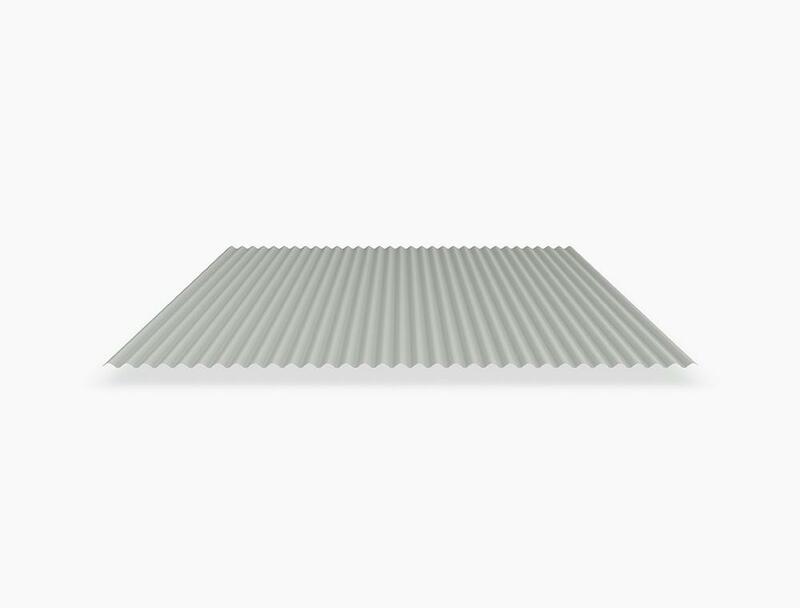 Its miniature corrugations provide a more subtle ripple effect and are a great walling solution or as a feature wall in contrast to other more traditional wall claddings. Mini Orb comes as either Colorbond steel with its wide range of stunning pre-painted colours or Zincalume, which is an aluminium/zinc alloy coated steel. Both Zincalume and Colorbond steel will last at least twice as long as conventional galvanised iron. Click Here to see all our LYSAGHT wall cladding profiles and specifications.